“The Piano Guys idea was sparked in 2007,” stated Alexa Verdugo Morgan, “Anderson used the downtime to educate himself in social media promotion to help his business, and stumbled upon a video on YouTube by Schmidt and Sharp Nelson called Love Story Meets Viva la Vida, a mash-up of the Taylor Swift and Coldplay hits. He was awestruck by the collaboration and inspired to create something similar” (qtd. in StGeorgeUtha web page). The modern-classical combination “Michael Meets Mozart” received a modest amount of views from Schmidt’s existing fan base, enough to catch YouTube’s attention. 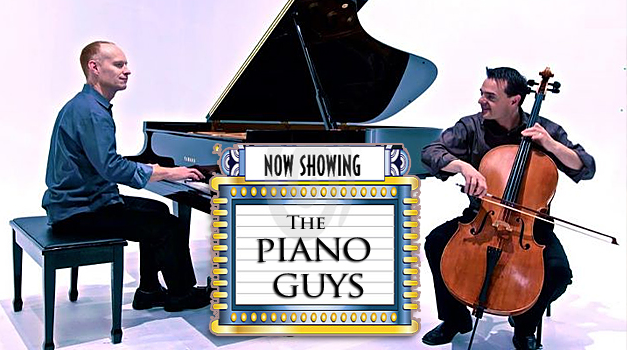 The Piano Guys were entered in the “On the Rise” contest, winning “Most Up-and-Coming Channel” in June 2011. The win earned them nearly 25,000 new subscribers and jump-started their ascent to online fame. Over the next year, The Piano Guys kept producing videos every week or two, gaining thousands of fans from around the world with each new creation. They eventually all left their day jobs, devoting a majority of their time and effort to continuing their group’s rapidly growing success (qtd. in StGeorgeUah). As one writer explained, “They play pop, hip-hop, rock and of course classical, sometimes with one tune several mashed up together or all of these genres. The booklet inside the album The Piano Guys carries this quote from the great composer Ludwig van Beethoven. “Don’t only practice your art, but force your way into its Secrets, for it and knowledge can raise men to the Divine”(Baby A. Gil, The Phillippine Star). She believes that those words are very “apt” to describe the CD contents. “YouTube has dramatically changed the face of the music industry — it’s sort of leveled the playing field a little bit and offered people like us, who normally I think a record label would have looked over, because we are not a typical record label model for success, an opportunity. We’re middle-aged guys playing classical instruments in a natural setting,” Nelson said, self-deprecatingly (Kindra Cooper, Jakarta).